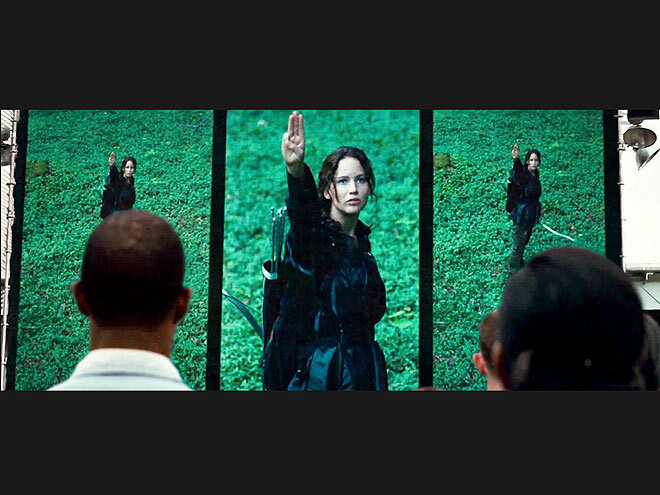 Every year there will be a female and male chosen from each district to participate in Hunger Games. 24 of them must eliminate each other as there will only be one winner at the end. In District 12, Prim was chosen at first to be the female competitor however, Katniss volunteered herself to participate in the Hunger Games because she couldn't bear to see Prim suffers and dies in tthe game. She was then being isolated and get prepared to head on to the Capitol. I'm skipping the details because it is quite boring. Haymitch, the former victor for District 12 advised Katniss to grab the elites' attention in order to ontain sponsorships during the game. Katniss did grab their attention by shooting an apple to the showroom after she got ignored by the elites. 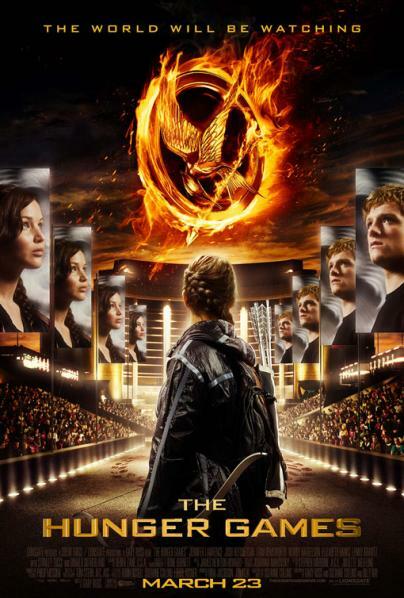 Soon, the Hunger Games started with 24 of the players standing on the Arena. Killing scene lasted for about 5 minutes where Katniss witnessed the brutal side of the competitors. Of course, Katniss ran for her life and hid herself on a tree to avoid killing them. Peeta on the other hand, joined a group of competitors as they wanted him to search for Katniss and kill her. Well, Katniss was quite disappointed but wait, will Katniss kill Peeta at the end? 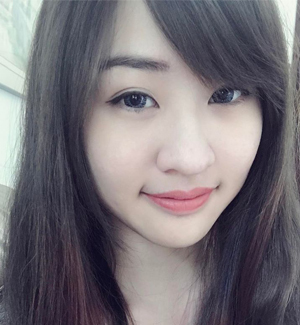 How is she going to survive till the end? Will Katniss fell in love with Peeta at last? 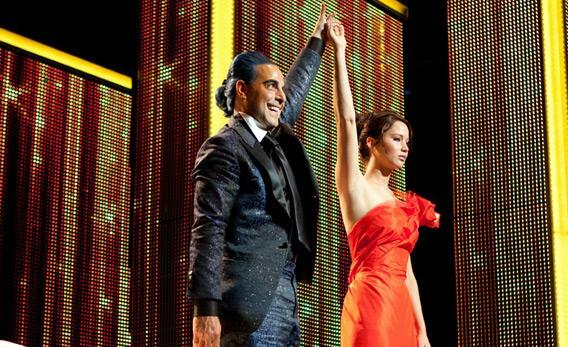 I love this scene, where everyone raised their hands up after Katniss saluted them. Katniss looks really elegant with this dress. The story flow is amazing. It is hard to watch a movie with a good story flow bause the movies nowadays depending more on the CG effects, which will then disappoint most of the audience, like me. (Just like how John Carter ended up with good CG effects but stupid storyline). I'm a bit surprise that the camera angles are quite shaky and I got annoyed bacause I couldn't focus on the movies. Let's hope that they will improve for Hunger Games 2. 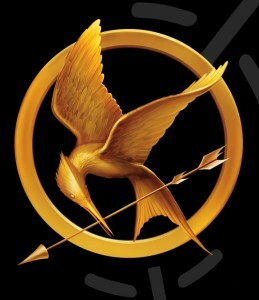 Jennifer Lawrence, (Katniss) acted really well in Hunger Games. Although she is emotionless on scene, somehow I got touched by her feelings. I do love how they portray the lifestyle in Capitol, retarded like Lady GaGa but futuristic fashion. Gosh, I hope they will not have this kind of fashion style in real life. Urban lifestyle in Capital and rural lifestyle in Districts actually reflect us in real life. The rich is getting rich, the poor gets poorer. Well, it is the reality and I couldn't deny it. 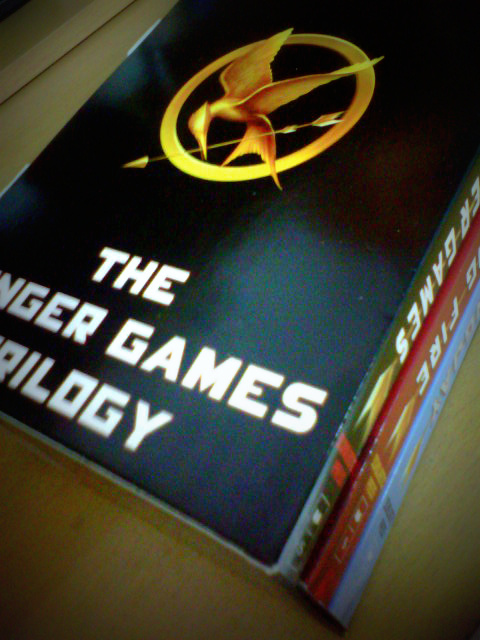 Overal, do watch Hunger Games and be anticipated for the second one. Mocking bird badge, it is lovely, isn't it? Ok, I should be signing off soon. Here's a sneak peek of the next coming book review.